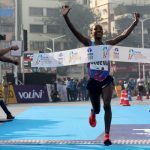 Ethiopian talent Ayele Abshero will be looking to make a big impact on his first trip to India when the gun goes for the 14th edition of the Standard Chartered Mumbai Marathon on Sunday 15 January. Abshero, now 26, is a former world junior cross country champion and will be the fastest man on the start line. He can boast of a marathon best of 2:04:23, which was set in 2012 when he won the Dubai Marathon on his spectacular debut over the distance. At the time, it was the fastest ever debut over the distance on a record-legal course. It remains his best but he has run under 2:09:00 three times since then and he will come to Mumbai with the course record of 2:08:35, set last year by Kenya’s Gideon Kipketer, very much as his target. No less than four men with personal bests under 2:08:00, and 12 who have run faster than 2:10:00, have been recruited by race promoters Procam International. 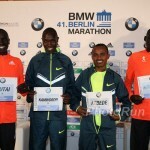 Among the elite field are two men with recent SCMM experience: Ethiopia’s Seboka Dibaba and Kenya’s Jacob Chesari. The pair were second and fifth respectively in 2016 and, in addition to aiming to do better this time around, they also have personal bests faster than the course record. Even though his personal best only stands at 2:09:19, another man to look out for is Alphonce Simbu. The Tanzanian was an impressive fifth at the Rio 2016 Olympic Games and he could make a big improvement in Mumbai. 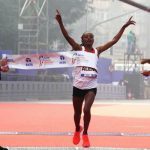 The favourite for the women’s race in Mumbai looks to be Ethiopia’s Dinknesh Mekash, a two-time winner in Mumbai after having triumphed in 2014 and 2015 and who has a personal best of 2:23.12, set when she finished second in the 2015 Frankfurt Marathon. There are six women in the field with personal bests under 2:30:00 but Mekash twice ran under 2:29:00 in 2016. 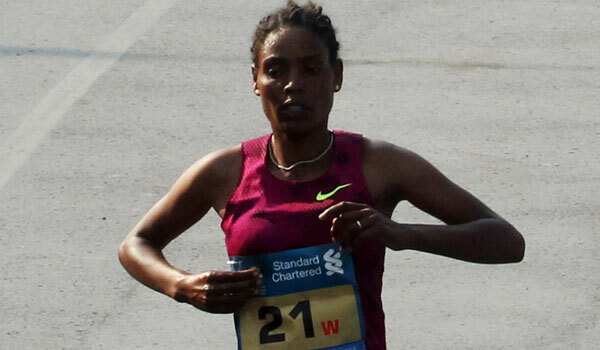 The SCMM women’s course record is 2:24:33 by Kenya’s Valentine Kipketer in 2013. 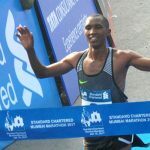 The Standard Chartered Mumbai Marathon has a total prize fund of US$384,000, making it India’s richest road race, and it has established itself as one of Asia’s leading races over the classic distance since it was inaugurated in 2004. Approximately 42,000 runners will take to the roads in Mumbai for the five different races in what has become an annual event on the third Sunday of January. In addition to the marathon, there is a half marathon, Dream Run (6km), Senior Citizens Race (4.3km) and Champions with Disability Race (2.4km).